Are any of those familiar phrases you have heard in your home? I certainly have. Children will no doubt have times of refusing help, telling you know, an whining about a myriad of issues. 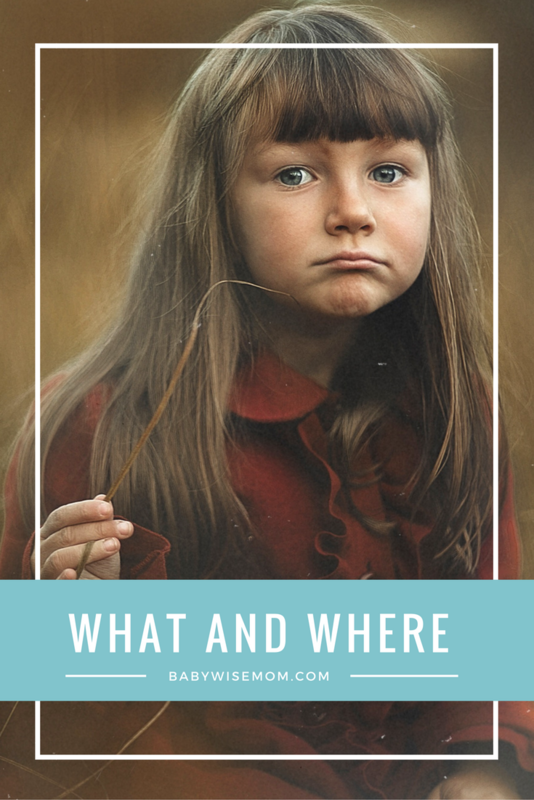 Parents often find themselves wondering how to respond appropriately in those moments. What no one seems to want to do is to lose it and begin yelling. Yelling seems to bring instant regret, and I see people all over the Internet looking for solutions on how to not yell. One of my greatest tools is my list of phrases I turn to in those moments of frustration. 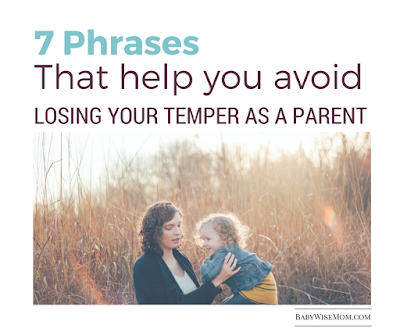 I have these go-to responses for common things that come out of my kids’ mouths that I can find frustrating. Rather than responding in exasperation or anger, I respond matter-of-factly with the phrase. 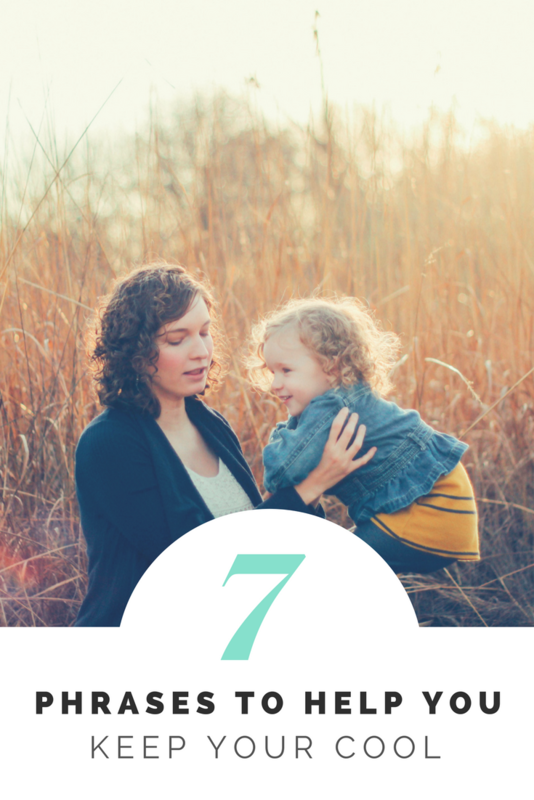 These phrases outline pre-established rules in our home, and my child understands that mom isn’t budging. 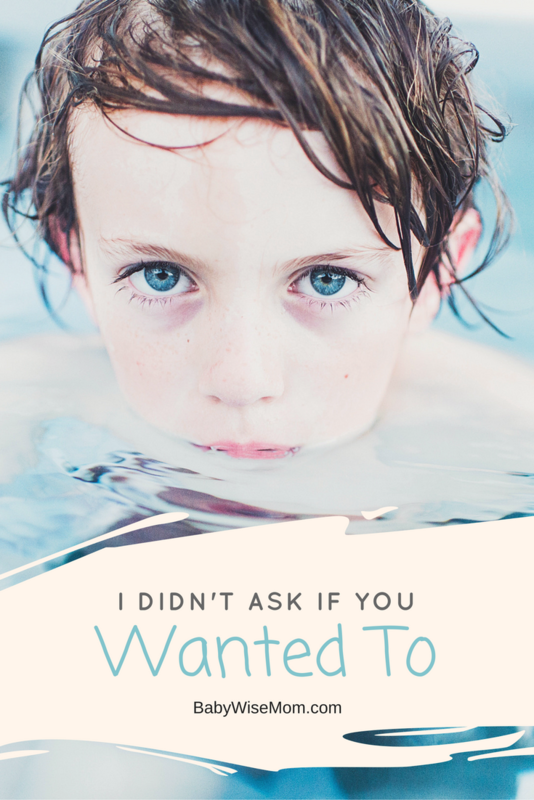 How many times do you give your child an instruction and hear “I don’t want to!” in return? I most commonly use this phrase when I get told flat out no. I can say any of the instructions I listed above and get told they don’t want to. 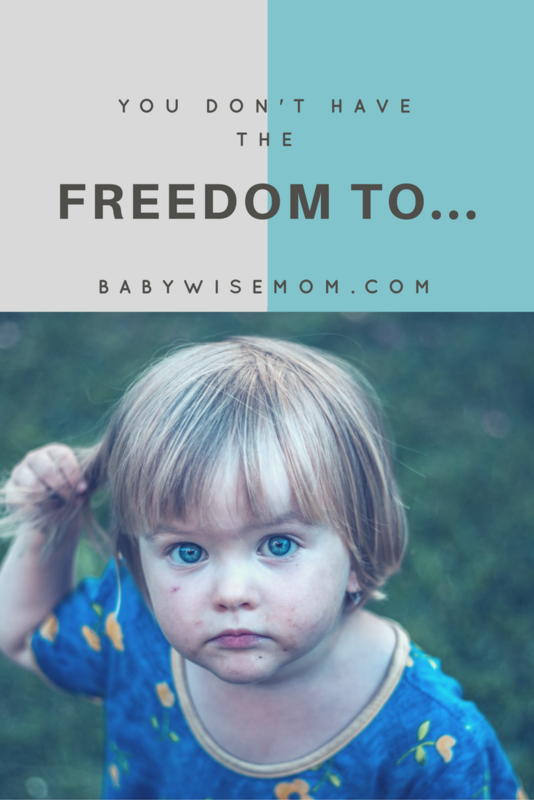 If I get told no, I very firmly remind the child that “You don’t have the freedom to tell mommy no.” This can be used for a variety of purposes. 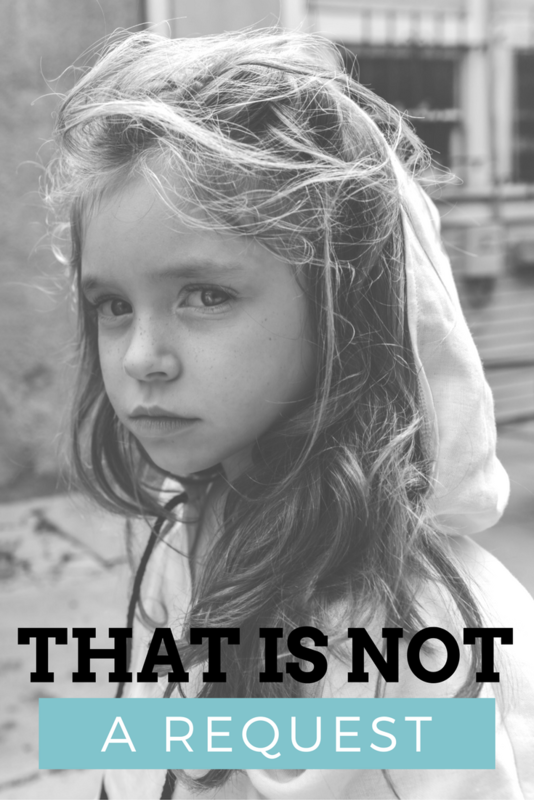 Any time a child is trying to step out of boundaries and take more control than is appropriate for her, this is a great phrase to throw out there. Life is not always fun and entertaining. There are times we have to be able to entertain ourselves with only our thoughts. In those moments when my children are bored, I offer up ideas. I am, after all, the head teacher in their lives. I help them brainstorm and come up with possible solutions. When the child decides to be difficult, I offer up the option to just be bored. That is always on the table. Boredom is okay and I do not mind if they go there. Sometimes life is boring. 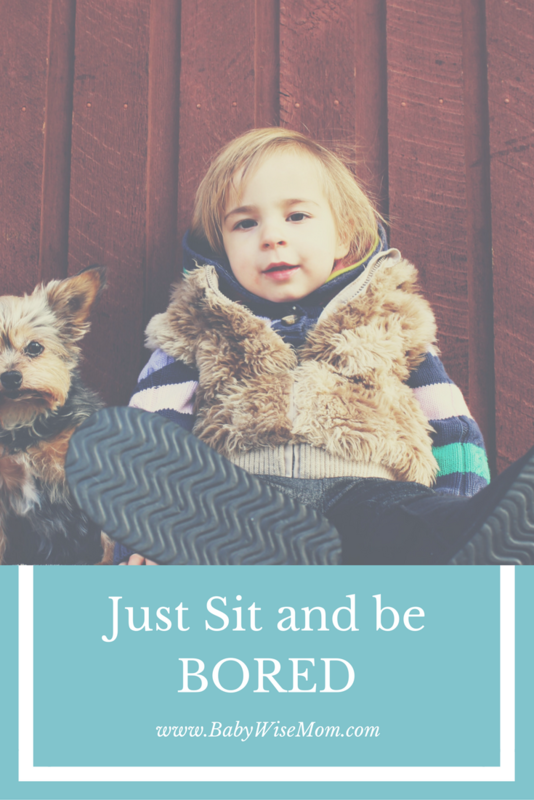 I have been using this phrase longer than smartphones have been a thing, but in our current age of tablets and constant access to electronics, I find kids can easily complain of boredom until the electronic device is finally offered up. My children know I am okay with bored and that such complaints will not lead to my phone. Oh the whining! It can really start to get to you like nails on a chalkboard. Common advice for whining is to simply ignore the child until she stops whining, but in practice, I haven’t found that terribly effective. 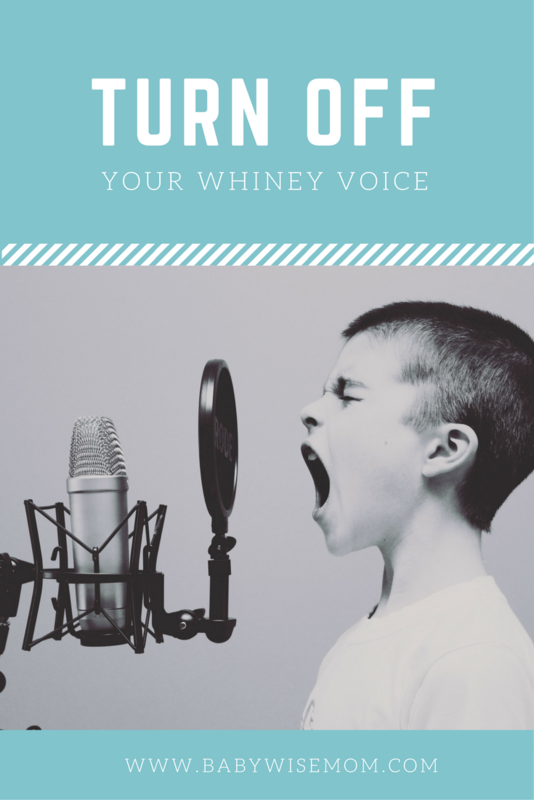 One of my favorite ways to stop the whining is to simply instruct my child to “Turn off your whiney voice.” I don’t have to get mad and snap. My child doesn’t have to whine incessantly while I ignore her, hoping she will soon catch the hint that I am not responding because of the whining. You don’t have to yell and carry on. You don’t have to lecture. You just have to ask your child. She knows. She will head on back to where she is supposed to be. This is one of my favorites at the dinner table. When a certain child needs to finish her dinner if she wants any dessert, and she looks at me with those big doe-eyes hoping for a pardon, I respond, “It won’t hurt my feelings if you don’t get dessert tonight. It will hurt my feelings if you don’t get enough good nutrients and aren’t healthy, though.” She knows I am not budging, and she knows it is because I love her. She isn’t thrilled and kissing my cheek thanking me for sticking to my guns, but she does go back to eating without attitude nor complaint and ALWAYS gets it done in time for dessert. These phrases can prevent you from jumping into needless lectures. They can help you say something without regretting it. They provide consistent ways to respond to common situations, allowing you to stay calm and in charge. They are phrases you can say anytime, anyplace. Is your child acting out in the grocery store? You use one of these phrases just like you would at home. You can correct the same way no matter where you are. They are quite handy! This is one of my favorite posts. I have some similar sayings/variations I use: “I can’t understand you when you’re whining,” is my favorite. And when they complain of boredom, I say, “Oh good!” If/when they question my enthusiasm, I explain, “If you’re never bored, then you never learn to make fun for yourself.” I also really like, “You can’t always choose your circumstances, but you can always choose your attitude.” Another one I’ve been trying to use more when kids complain about not being happy or things being unfair is to say, “My job is not to make you happy/keep things fair all the time, my job is to teach you how to handle trials when they come your way.” I’ll admit, it’s kind of long, though. Ha ha. I love you website so much and I recommend it to others often! Keep up the great work! I love all of those! I say similar things and I am glad you added them here. Thanks so much!